Flexibility in more ways than one! Edge welded metal bellows allow for flexibility in axial, angular and parallel offset motion and provide the most stroke in the smallest amount of space of any bellows technology on the market, by reaching 90% of its free length. 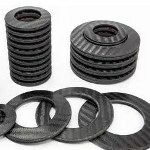 BellowsTech can customize size, shape, material, weight, length, and mounting connections to customer specifications. 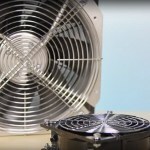 Can infrared links simplify data center communications? Versatile and adaptive robotic armatures have the benefit of increasing manufacturing productivity by automating and performing complex, repetitive tasks 24/7. Designed to obey commands or to work in unison as cooperative robots (cobot/co-robot), these robots greatly simplify the design of automation systems. To further improve performance, reaction torque sensors are placed in-line with the drive motors inside each joint, allowing development of closed loop control laws to ensure smooth, repeatable, and efficient arm motion. Learn how engineers create this functionality. 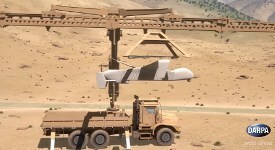 Aurora Flight Sciences recently tested a full-scale SideArm technology demonstration system for DARPA that repeatedly captured a Lockheed Martin Fury unmanned aerial system (UAS) accelerated to representative flight speeds via an external catapult. The system aims to handle UASs up to 900 lb. 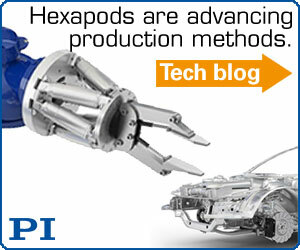 Semiconductor, electronics, automotive, and precision assembly industries are advancing with hexapods. French-based elevator designer and manufacturer SODIMAS is reducing turnaround times of its prototype parts by 98 percent since integrating Stratasys 3D-printing solutions in its production line. SODIMAS CAD engineers can send designs directly to the FDM-based Fortus 450mc 3D printer and have the printed parts in their hands in just a few hours for testing. Data centers are the central point of many, if not most, information systems today, but the masses of wires interconnecting the servers can resemble last year's tangled Christmas-tree lights disaster. Now a team of engineers is proposing to eliminate most of the wires and substitute infrared free-space optics for communications. Looking like something straight out of a James Bond movie, Lexus unveiled its one-off 42-ft Sport Yacht concept on Biscayne Bay in Florida in mid-January. It was a great way to show off the high design of the Marine Business Department of Toyota Motor Corp. combined with the engineering and manufacturing capabilities of the Marquis-Carver Yacht Group (Pulaski, WI) and the undeniable styling and quality control of Lexus. The spread of miniaturization in automation has led to an ever-increasing demand for optimum dispensing of the tiniest volumes. 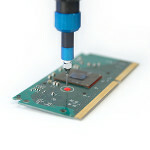 Whether in electronics or micro-mechanical engineering, solder pastes, adhesives, lubricants and sealing compounds must be applied precisely where needed, in exactly the right dosage, and without spillage or dripping. 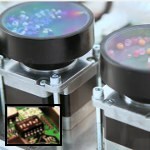 Compact, high-torque micro DC motors can deliver the precision and small size needed for such a challenge. Orion Fans' heavy-duty louvered filter fan kits include fan, louvered fan guard, filter, metal guard, and hardware. These easy-to-assemble kits are built to protect industrial, electronic, and electrical cabinets against dust, dirt, and moisture and are available with 120-, 172-, 225-, 254-, and 280-mm AC and DC fans. All kits can be IP55/56 rated when used with an Orion Fans' harsh environment fan. Click here to learn more, including seeing these kits in action. The tecsis Model XLPD Force Sensing Load Pin features a patent-pending design that achieves superior accuracy up to 0.25%. Most of the accuracy error in a load pin is the result of variations in the application of the load. Now, tecsis engineers have found a way to virtually eliminate loading-induced error and create the most accurate and repeatable load pin on the market. 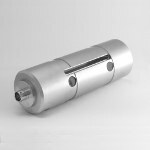 The XLPD is available in ranges up to 16 tons (0-150 kN) and delivers a combined +/-0.25% linearity and hysteresis, and repeatability of ±0.1% FS. Standard output is 2 mV/V with an excitation of 10 Vdc. This unit is IP67 rated and built to perform with all stainless-steel construction to a 150% safe overload rating. Created originally for harbor cranes and mobile and stationary straddle cranes, these force-sensing load pins have set a new standard for weighing applications of all kinds. A robot controller plays a critical role in programming and operating the robot (as well as communicating back and forth with the Industrial Internet of Things), so understanding controller features is indispensable for making an intelligent buying decision. 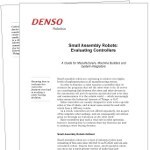 DENSO Robotics is offering a new no-cost guide called "Small Assembly Robots: Evaluating Controllers" that provides essential facts and information about controllers for small assembly robots, which are used in traditional manufacturing sectors as well as in advanced-technology applications in the medical, pharmaceutical, and life sciences industries. The Army Research Laboratory and industry partners demonstrated the flying capabilities of a unique rectangular-shaped quadcopter Jan. 10 at Aberdeen Proving Ground. The joint tactical aerial resupply vehicle, or JTARV (aka "hoverbike") may one day make it possible for Soldiers to receive resupplies rapidly. Astronauts heading into orbit aboard Boeing’s Starliner spacecraft will wear lighter and more comfortable spacesuits than earlier suits astronauts wore. The suit capitalizes on historical designs, meets NASA requirements for safety and functionality, and introduces cutting-edge innovations. Researchers at the Ohio State University have made a discovery in materials science that sounds like something from the old Saturday morning cartoon “Super Friends.” They’ve found a way to deactivate “nano twins” to improve the high-temperature properties of superalloys that are used in jet engines. The advance could speed the development of powerful and environmentally friendly turbine engines of all sorts. Wireless power delivery has the potential to seamlessly power our electrical devices as easily as data is transmitted through the air. Existing solutions, however, are limited to near-contact distances and don't provide the geometric freedom to enable automatic and un-aided charging. Disney engineers introduce quasistatic cavity resonance (QSCR), which can enable purpose-built structures, such as cabinets, rooms, and warehouses, to generate quasistatic magnetic fields to safely deliver kilowatts of power to mobile receivers contained nearly anywhere within. Although we all probably won't live in aluminum-clad rooms, the potential is here for a real next-gen breakthrough. View the main demonstration video. Learn a little more about the engineering set-up details. The new 2-Phase Bipolar Stepper Motor CVD Driver from Oriental Motor offers superior performance and value and is ideal for OEM or single-axis machines. The CVD is available as a driver only or as part of a complete package. See the easy-to-configure Smooth Drive in action and more.